Sensitivity, courage and no fear to go against the grain. Giuseppe Gambirasio, born in the district of Bergamo, was one of the most representative architects of the last century, some of his works being the landmarks of the city skyline. 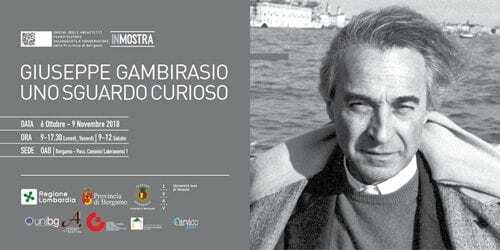 The exhibition entitled “Uno sguardo curioso” ( a curious out look on life ), which can be visited at the premises of the Architects’ Association of Bergamo (Passaggio dei Canonici Lateranensi 1) from October 6 to November 9, pays an homage to this artist and his work and Carvico is proud to be the event main sponsor and organizer. The fabrics belonging to the exclusive “Carvico Lifestyle collection”, fully dedicated to the world of interior design, have been selected to complement the setting of the exhibition. Visitors, surrounded by the intense Klein blue of “Spider Lifestyle” bonded fabric, are going to move around a dreamlike, intimate, protected environment featuring the artworks created by Gambirasio. 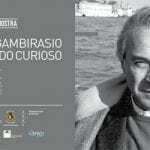 “An impressive, evocative work – claimed Laura Colnaghi Calissoni, President of the Carvico Group – celebrating Giuseppe Gambirasio, his work and his passion. Being deeply rooted in the district of Bergamo and profoundly tied to the local territory, we are proud to have cooperated to setting up this exhibition celebrating the passion, courage and innovative spirit which characterized this artist’s work and which are the same values we have always believed in”.